Before the impala shows up, perhaps we could see an image of the "Tele"
Scroll down to March 15th and you can see it. @ Damian: I tried the recording interface last night and it works brilliantly - a much louder, cleaner signal than I'm used to, and very little latency. Rowan: How could I have missed that picture. That is absolutely gorgeous. Great choice of color. I'm having an absolute blast with it! The kit looks very good indeed. 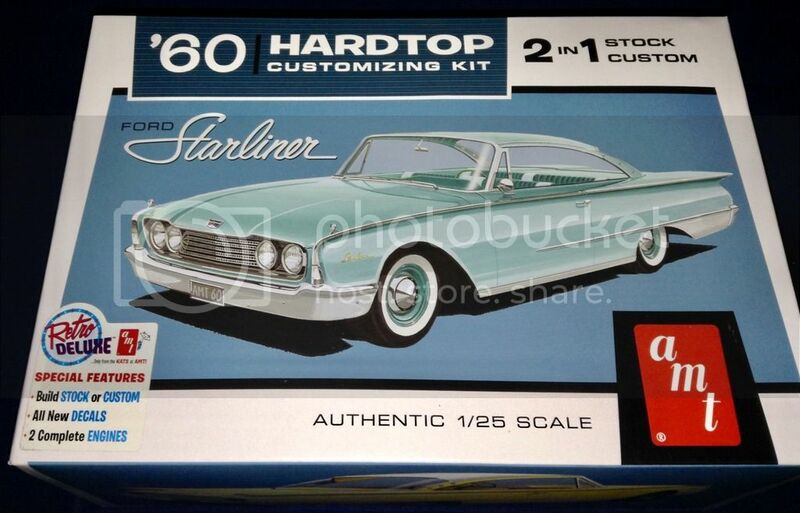 I'll post a full in-box review but, for now, suffice to say I think I've chosen well for my first classic American car. I probably should start putting a few reviews up as well as I work through my builds. It was touch and go what my next build would be - Ebbros' vintage F1 Lotus 49B or this '58 Impala. As stunning as the Lotus is, the Impala's won - and I've started a thread ahead of building it to (hopefully) represent Buddy Holly's car. You've no doubt got some absolute gems that would make great reviews! I thinking just the same looking at the stuff Luciano's getting in his amazing catches! It really strikes me how different the aircraft and car modelling scenes are. 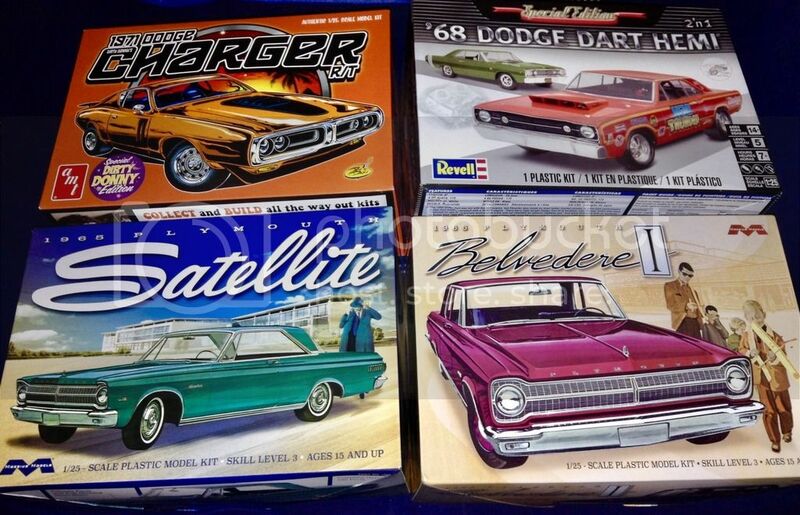 Classic car kits remain just that i.e. classic - whereas, in aircraft modelling, perfectly fine kits are all too often swept away and forgotten in favour of new releases. Great kits to add to the stash Charlie. 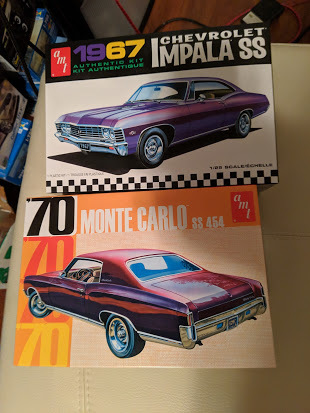 I love the 67 Impala, have this kit sitting in the queue! Charlie nice buys, both of those are on my wish list. D nice, although I prefer the stock one Charlie got. Postie dropped of these the other day, may use them together. 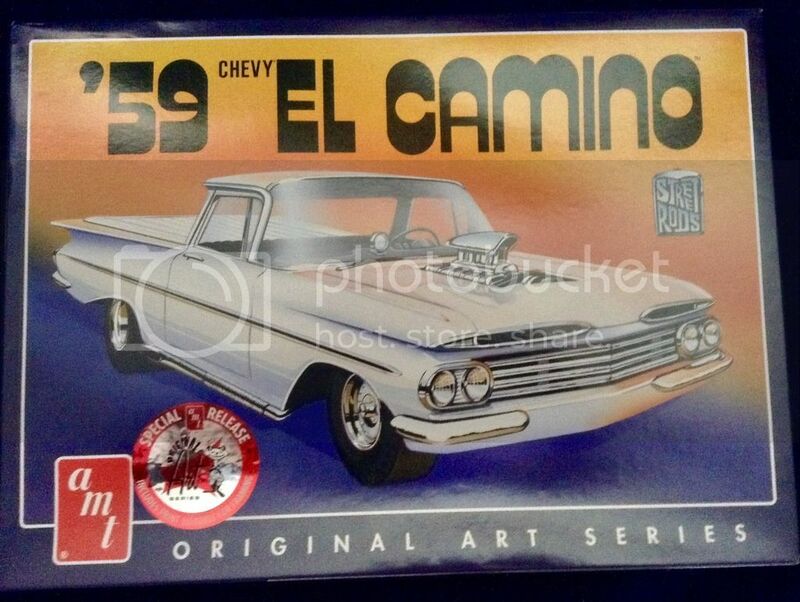 Seems to be a lot of Chevys being bought around these parts, so I will add my latest kit to hit the garage, Revell's 1/25th 57 Chevy Black Widow. Andy, go to the top of the Class mate! 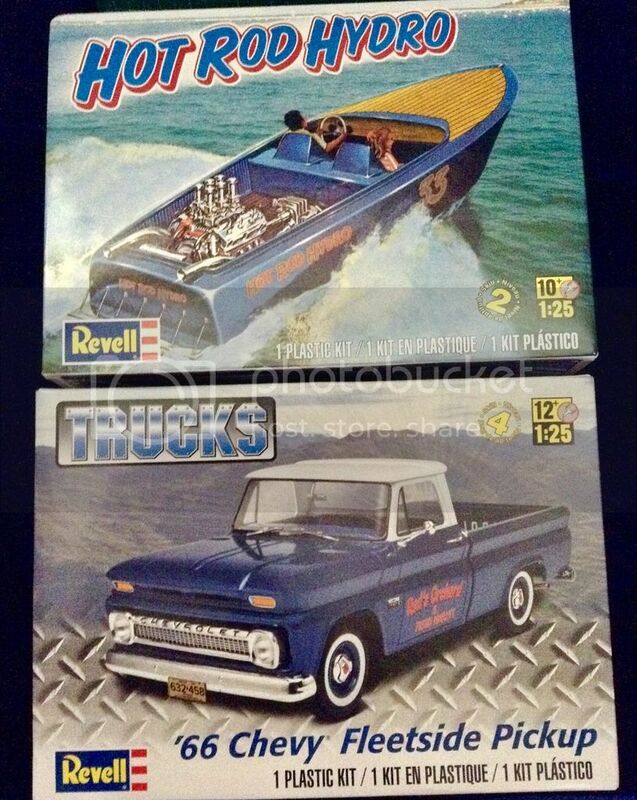 I have read rumours that Revell accidentally put a 210 body in a few of those boxes instead of a 150, check it out when you get a chance. Nice one Andy, seems that a few Chevys have arrived recently. D that looks like a nice purchase and the package looks really special. I’ll be keeping it stock. I'm sure he would start a Chevy Vs. Mopar part 3, here on "what the post..."
It's just the ebb and flow of things, we've had a string of rally cars, Luciano put a small caryard full of Mopars and Fords into his garage in February and March, and there have been a few open-wheelers brought into the mix as well. 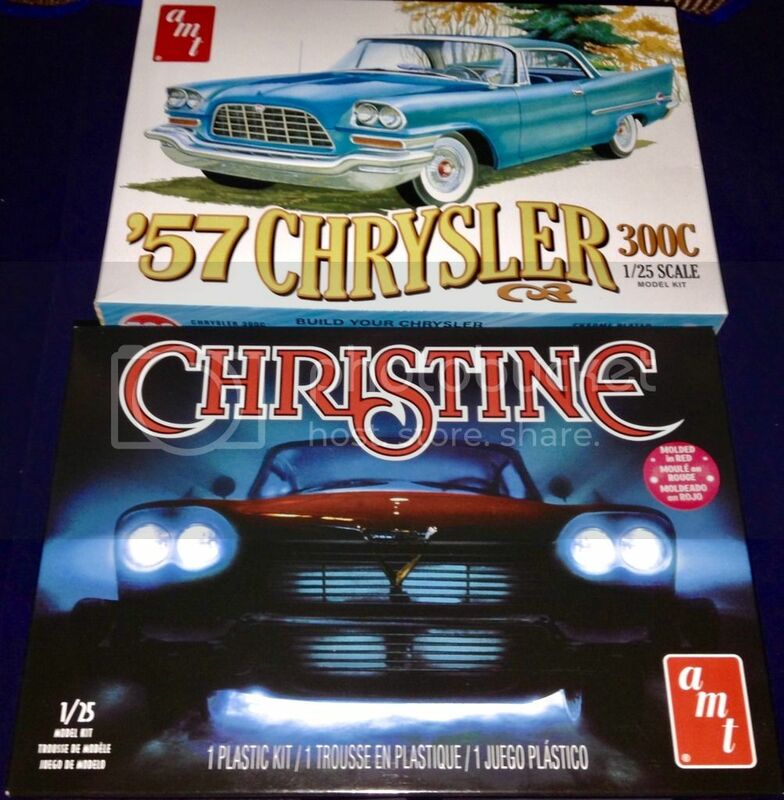 Well, at least I can plead innocent on the Chevy-modeller front - while I don't have that many car kits in my Stash (yet ), there's quite a healthy selection of brands, types and eras so far. Of course, that could all change if the bug bites with any particular genre! At the risk of offending die-hard Chevy enthusiasts, I've got to say I think the front end of that '60 Chevy Fleetside must rank amongst the most gloriously ugly things I've ever seen on four wheels! I must admit, it looks a bit Neanderthal with those heavy eyebrows. I don’t think I know of another vehicle where the headlights are actually mounted in the bonnet (hood). I'm not sure about ugly, but unique comes to mine. I've always thought that the turn signals up in the hood like that looked like nostrils, but maybe that's just me. I think "unique" is nicer term than mine. It rather reminds me of the Edsel - as in... just a wrong turn in styling. Postie arrived with a large parcel.